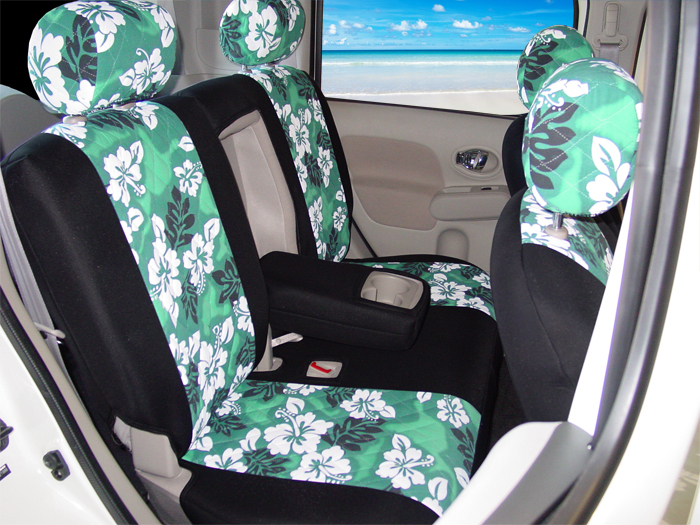 Seat Covers with Hawaiian prints have left the islands and found their way to the Mainland. As people have vacationed in the Islands they have found themselves mesmerized by the flowers the culture, the people and the laid back vacation-like attitude. Mainlanders have desired to bring this feeling home with them. 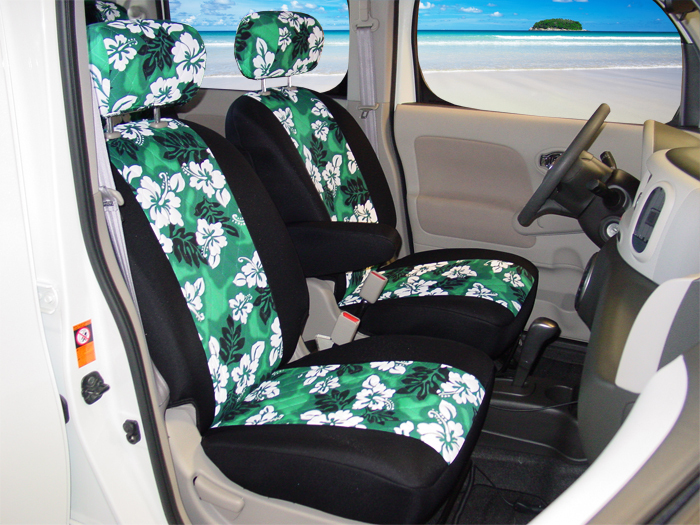 What better way to do that than to add popular Hawaiian patterns to your auto seat covers. 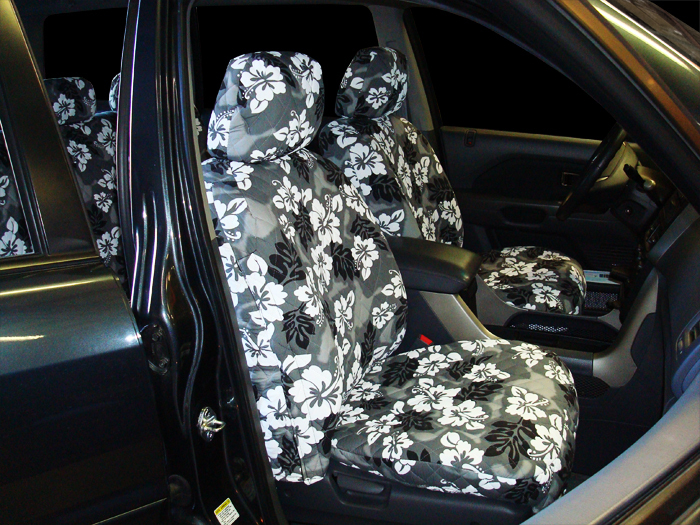 No worries these make a great SUV seat cover and Truck seat cover as well. 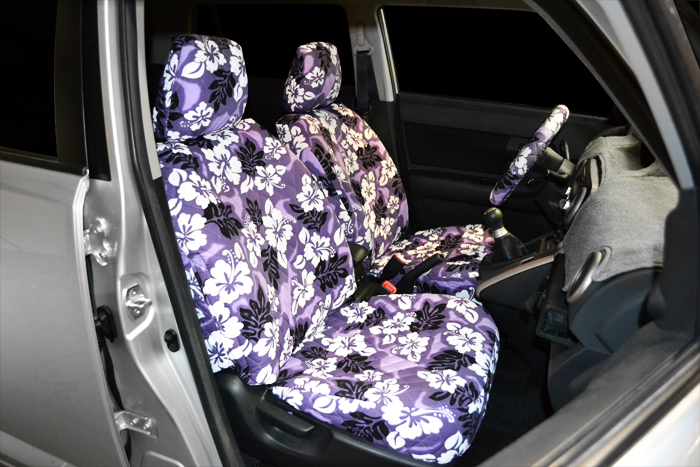 A Hawaiian seat cover is a great way to have a reminder every day to give yourself a metal break from the harsh realities of work. 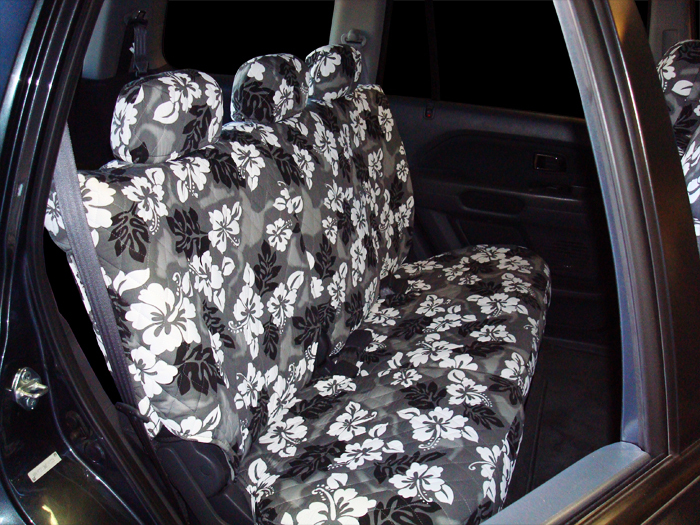 These are such a popular cover that we have decided to extend our pattern line from the Hibiscus only to the Tropic Hawaiian, the Turtle Hawaiian, and others are also coming in the near future. 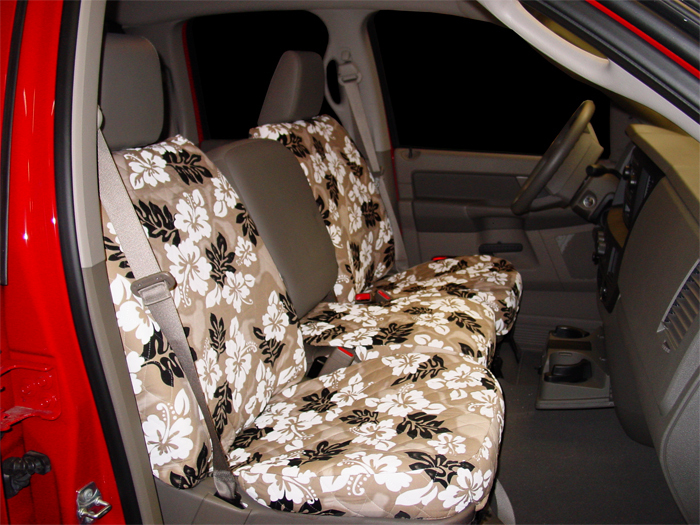 Don't forget that you can design your own cover by pairing these patterns with the Neoprene in our Neo-Hawaiian car seat covers See the wide selection by choosing your make above. 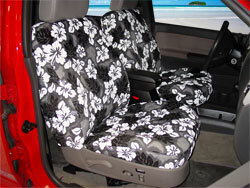 3/8' foam backing for added comfort, fit, and durability.